Shop Ernie Ball Camouflage Guitar Picks 12 Pack from AMS and enjoy Fast & Free Shipping. 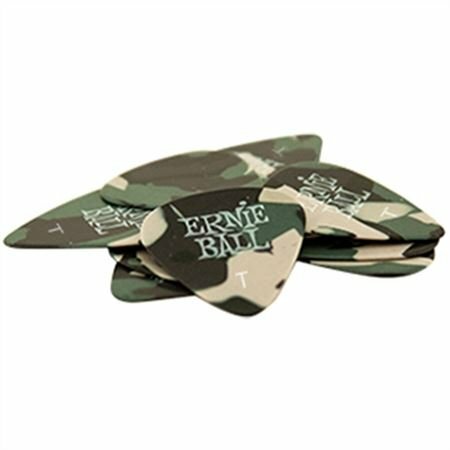 Get your favorite Ernie Ball Guitar Picks now in a fun camouflage design! The camouflage guitar picks come 12 in a pack and are made of cellulose acetate nitrate plastic. These not only look cool they feel good and work out great.